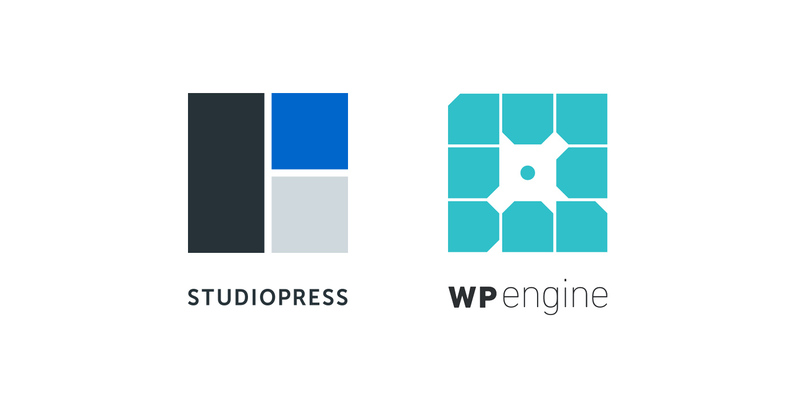 I’m pleased to announce that StudioPress, our WordPress design and hosting division, has been acquired by WP Engine. With this move, the world’s most popular WordPress design framework — Genesis — will now be paired with the world’s leading managed WordPress hosting platform. As 2018 began, it became clear that there was interest in StudioPress from several prominent WordPress players. I wasn’t sure how I felt about that given our future plans for the brand, so I turned to my business partner and StudioPress founder Brian Gardner. His answer was simple: If a company with greater resources than ours could demonstrate that they understand the multi-faceted value and go-forward potential of StudioPress and Genesis, it was worth considering. More importantly, any suitable successor to the brands needed to grasp the worth of the people within the vibrant community of designers and developers who have built businesses around Genesis, the broader StudioPress customer base, and our StudioPress team. When it came down to satisfying all that criteria, it soon became clear that there wasn’t any true competition. WP Engine demonstrated that they were the right choice through both understanding and enthusiasm. So much so that Brian Gardner has agreed to join the StudioPress team over at WP Engine (he’ll remain a partner in our company). I’d like to specifically acknowledge the role that WP Engine founder Jason Cohen played in making this deal happen. Jason and I have known each other for a while now, so it was natural for the two of us to talk through the possibility of StudioPress joining WP Engine. It’s important to note that with Jason, I didn’t have to “sell” him on anything. Instead, he explained to us the value he saw in StudioPress, the Genesis community, and our team. This was key to getting us not only comfortable with the deal, but also excited about the new heights StudioPress will attain with the resources and team that WP Engine brings to the table. It’s bittersweet for us to no longer be the ones leading the charge into the future of StudioPress, but on the other hand, we’re quite positive that WP Engine is the go-forward route that assures the health and growth of StudioPress and Genesis. While Jason initially evangelized this transaction to the other powers-that-be within WP Engine, once the deal was greenlighted a large team of people stepped up to make it happen. Everyone we interacted with at WP Engine shared the same enthusiasm for StudioPress, and even though this was their first acquisition (and our first sale), the common vision between the two companies kept us firmly progressing through an intensive due diligence process. There were too many people involved to thank everyone individually here. But I would like to give a specific shout out to Mary Johnson, David Vogelpohl, and WP Engine General Counsel Chad Costello for all their hard work. Kudos also to CEO Heather Brunner for quickly seeing how StudioPress fit into WP Engine’s ambitious plans for the future. None of the wonderful things that have happened over the last nine years would have been possible without the website owners, designers, and developers who have supported and evangelized StudioPress and Genesis. Community is often a hollow business buzzword, but in this case it’s a very real thing that we continue to cherish. This acquisition certainly wouldn’t have been possible without you. It’s important to keep in mind that we firmly believe that this shift of ownership to WP Engine is an overwhelming positive for StudioPress customers and the Genesis community. There are great things to come. I’m assuming that owners of Studiopress Sites accounts/web sites will just move over to WP Engine etc. But what about Rainmaker accounts/sites? They use Studiopress themes, so how will that work? Thank you. We worked all that out as part of the deal. The Rainmaker Platform will still feature Genesis and SP themes as part of the overall package. Thank you for clarifying that about Rainmaker. This was going to be my next question after what happens to my StudioPress account. Will the name change or will we be able to keep thinking Genesis and StudioPress when we’re choosing themes? Once the dust settles, we’ll have much more time and focus for Rainmaker — which was part of the motivation to go ahead with the deal. Swaghin, check out WP Engine’s affiliate program. Great hosting service and very generous commissions. Thanks Brian. I am also an affiliate of WPEngine and yes they are awesome! 1. I’ve benefited greatly from Jason Cohen’s content over the years. I’ve stolen many insights from “ASmartBear” when I worked for a SaaS company, including how to properly measure churn. I even told a competitor to WPEngine that I’m not leaving because I feel like the hosting cost is payback for all the free info Jason has shared. So, there’s no other person in WordPress who should understand the value of StudioPress like Jason probably does. 2. WPEngine received a massive investment in January and announced $100 mil in annual recurring revenue. It’s great to see that buying Studiopress was the first shoe to drop! 3. I hope they buy a form builder next – specifically Gravity Forms – and add styling as a core feature of the product! 4. Congrats to the Rainmaker Digital team! I know for a fact that WPEngine is an industry player in hosting. And Studiopress for it’s impeccable themes. I just checked and it seems the Studiopress hosting transfers to WPEngine. But the Studiopress themes are still available on your Studiopress website. So will it stay there and just the revenue will go to WPEngine? On a side note, I was sad initially because I wanted you guys to crush the hosting game for mid-level business and bloggers. However I am happy because it helps you to focus on new things important. Good luck. Hey Rohan, yes — studiopress.com will remain an independent site owned by WP Engine. Everyone will continue to buy Genesis and themes there. For hosting, people are sent over to wpengine.com to choose their plan and purchase. Everything is staying as is for now. WP Engine will be sending out a lot of information to keep you in the loop on the transition, so watch for that. After the acquisition, will this still be the case? Do you know the future of sites hosted there? I asked WPEngine support, but they didn’t know the answer. Congratulations Brian and the StudioPress team. Looking forward to seeing the future roll out with a partnership between these 2 great companies. Congratulations Brian! Best of luck going forward! Will my current studiopress hosting fees migrate over to WPengine? Everything is staying as is for now. WP Engine will be sending out a lot of information to keep you in the loop on all transition matters, so watch for that. What about those of us who have purchased lifetime Studio Press themes with support included? Will we continue to receive the support and themes of will we have to buy WP Engine? The deal remains as promised for every StudioPress Pro Pack customer. And you are free to use any WordPress host you want, just as always. Congrats to you all! It’s been fascinating to watch some of the movements in our industry over the past few months – times are changing! Thanks Darren, and thank you also for all the support you’ve provided to StudioPress over the years! Congratulations Brian on a great deal for Studiopress that values the creators, customers and team. But what happens to the Site Success podcast by Jerrod Morris and Sean Jackson? Hey Michael. WP Engine is taking over the podcast, and you’ll likely hear Brian Gardner and Chris Garrett on the show going forward. I’m happy for you, it seems like a good deal that benefits everyone. I’m hoping this won’t affect StudioPress affiliates? The StudioPress affiliate program will remain in place, and will likely improve. WPE has an entire affiliate team to support you! Unfortunately, I just subscribed to Studiopress Sites hosting 3 days ago. Do you recommend canceling before I set up my new site on the hosting? I talked with WPengine and they said all of SPS features would be transferred in the next six months, but not all features right now. For example, they said we would not have access to Sribe SEO feature now and will need to wait for 4-6 months. Any other features not available in WPengine now that we already have in SPS? James, what WP Engine means when they say things won’t be transferred for 6 months is that we are running these hosting accounts for them, on our servers, during a transition period. So since you bought before the announcement, you are good with the feature set you have, with no changes for the immediate future. The transfer to their servers may happen sooner than 6 months, but for now you should be fine. I recently switched from Synthesis to StudioPress Sites because of the pricing. I seemed to be getting the exact same service but for a much more reasonable price. Will the current StudioPress Sites plans be honored at WP Engine? I run a small agency and only uses Genesis childthemes from the very beginning of my business (8 years ago). Hope that can still be enjoying Genesis for the long future. I’ve been following Copyblogger for over 6 years and also a long time customer of Genesis theme. It’s a shocking news to me but as usual you’ve convinced us why the acquisition was important to take StudioPress to the next level. I’m also a user of WP Engine, they are good at providing top notch dedicated hosting services at exceptional pricing and they also have lucrative affiliate commission for those who promote their hosting plans. That being said, curious to know all the lessons you learned so far from running a hosting business for over 9 years. Fingers crossed! I just want to see how the future of StudioPress will be in the hands of WP Engine and I congratulate all the guys at WP Engine for their acquisition. Are we going to see any new plans from StudioPress (or new hosting features) apart from pricing, Brian? All the best for your future endeavours. Cheers! I’ve been happy as a StudioPress Pro Pack customer and as a Synthesis hosting client. Brian, it gives me great comfort seeing you here answering questions and being fully transparent. I’ll remain a fan of CopyBlogger and the various companies even though I’ll be under the WP Engine umbrella. BTW, I really liked WP Engine 5 years ago when I decided to host with Synthesis. And since then, WP Engine has been consistently rated as the top hosting company by many people in the know.